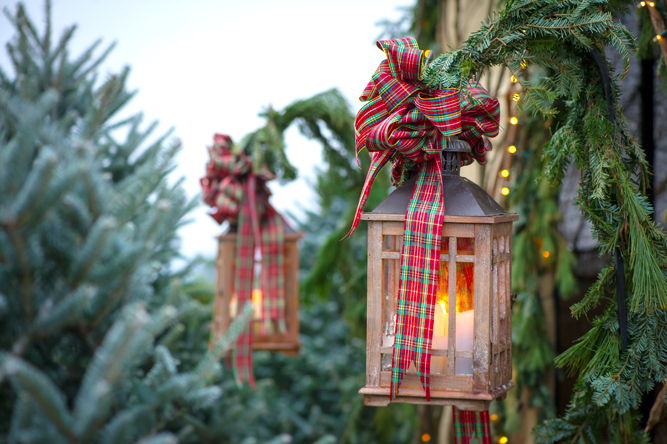 This lovely farmhouse is a home away from home for many during the holidays. Your carriage awaits! 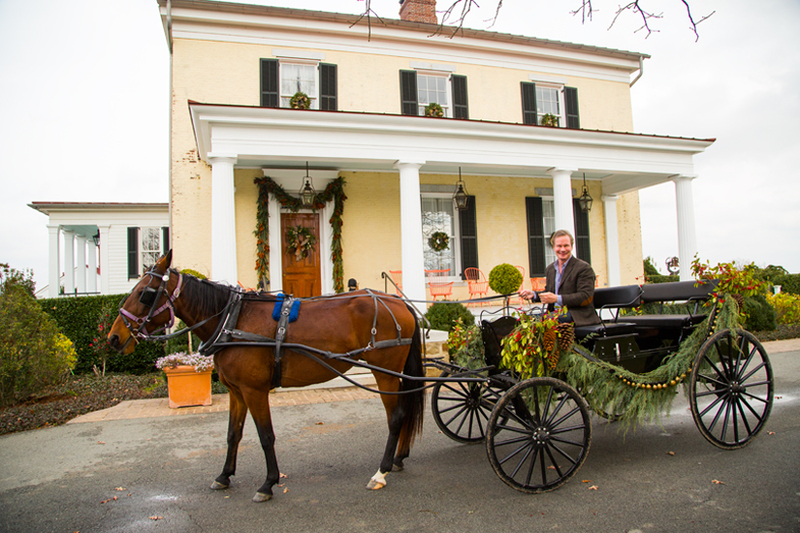 Upon arrival, guests enjoy a horse-drawn carriage ride up to the main house and witness the breathtaking beauty of the Arkansas River along the way. Amid the green sloping scenery of Roland, Arkansas, sits P. Allen Smith’s Moss Mountain Farm. Seeing the Greek revival farmhouse three stories high, visitors will feel instantly transported to the 1840s. “The farm sits on 600 acres with sweeping vistas of the Arkansas River,” says Smith. Upon arrival, guests enjoy a horse-drawn carriage ride up to the main house and witness the breathtaking beauty of the Arkansas River along the way. The pumpkin house has been turned into a gingerbread house, complete with lights, garlands and festive wreaths. 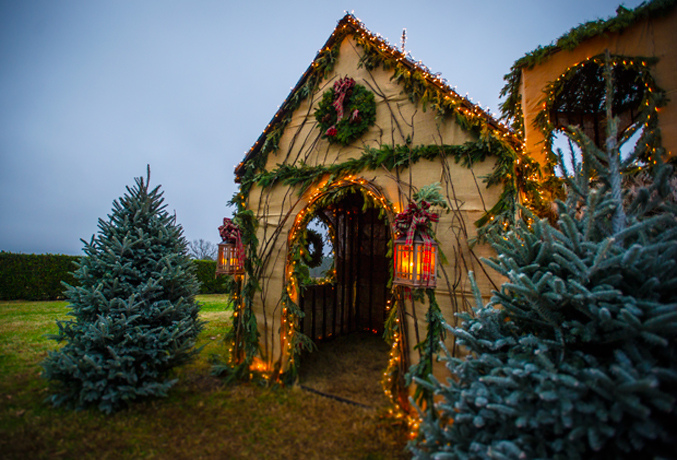 Although the farm serves as a home for Smith, a conservationist, television host and garden expert, it also hosts weddings, lunch tours and holiday events. During the lunch tours, guests can rub elbows sitting at a long wooden table and enjoy the Christmas meals like one big happy family. Lanterns cast a warm and inviting glow.